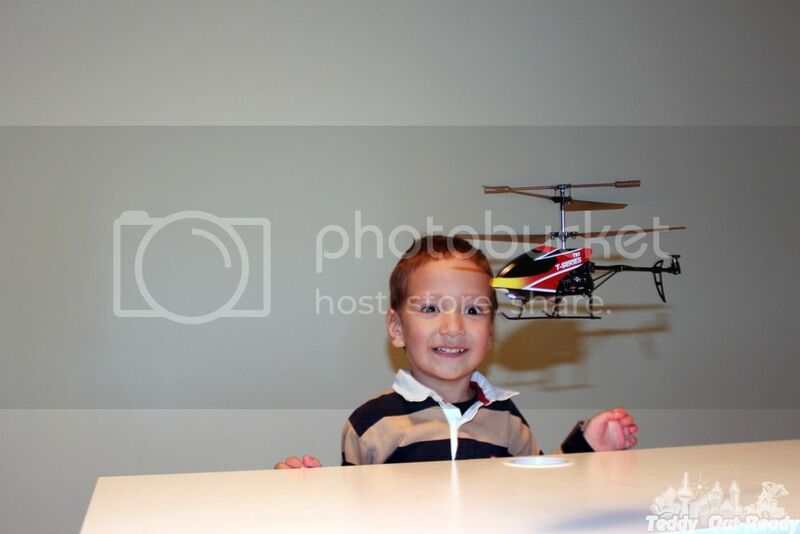 Teddy always wanted a helicopter with remote control. 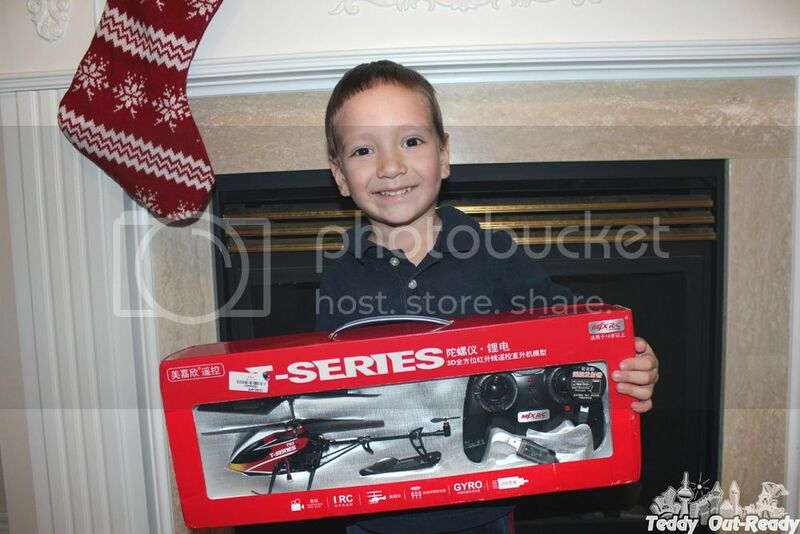 We got MJX T53 High Performance 3.5CH GYRO 3D Flight Thunderbird Infrared RC Helicopter from http://www.everbuying.com/ for him and he wasn’t disappointed. High-end design and technology with intelligent infrared remote control, video function and USB charging system make T53 easy to use and have the extraordinary performance. Colorful searchlight helps during night flights and makes the helicopter look more attractive. 3D flight high efficient coaxial-rotor structure, strong wind resistance of metal stabilizer bar and double motors power system provide powerful driving force for flight. With accelerators feature, the PRO Remote Control makes operation more personalized and faster flight. The AVCS (Angular Vector Control System) gyro has the strong ability to correct the helicopter’s momentary large, small and continuous defluxions. Helicopter can be mounted with high-pixel camera and take video during the flight. The video is generated in AVI format. To protect and prevent any risk caused by stuck of the main rotor the helicopter equipped with auto power cut-off system. The helicopter can be charged from USB interface of computer and from remote control. The adaptor will automatically stop charging once the battery full charged. 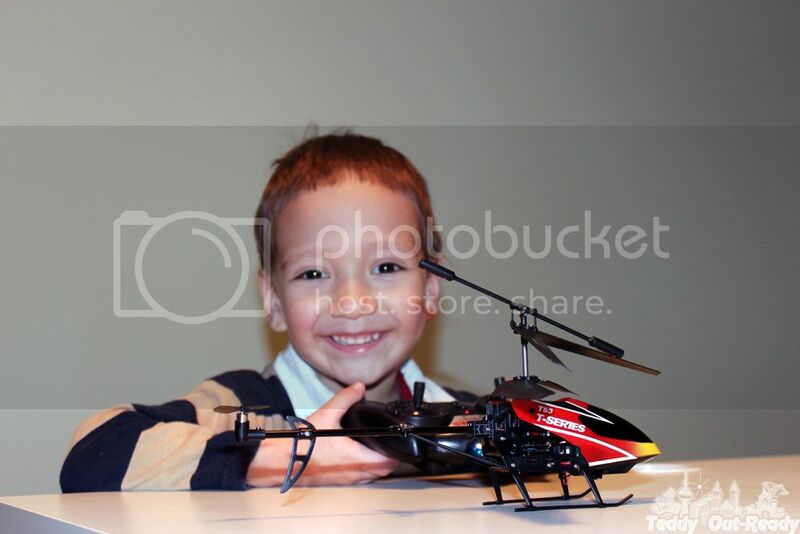 Remote control has 2 channels and can be used for 2 different helicopters by switching channels.It is a nice addition to our remote toys family. This holiday season, check what a wide variety of products http://www.everbuying.com/ offers to customers at affordable prices. Everbuying.com is a leading global online wholesale retail company operating in the international wholesale market specializing in electronics and contemporary fashion. Their goal is to provide worldwide customers with great high quality products at the lowest factory direct wholesale prices. It's my first time ever trying an Rc Helicopter or any of this sort and I must confess that I am very happy as a beginner using this heli for a week now. but the plastic swash plate area keeps breaking even without crashing. I've had to purchase replacements three times. But overall I enjoyed flying this heli. Can you send me your e-mail and I will e-mail you back the manual in English.We had same problem at the beginning, it is more like synchronizing the remote with helicopter and we found the manual has the best explanation. I have the sane problem, it says to switch on the helicopter - but no button? manual is no help at all! A fledgling who is quick to fly a helicopter ought to handpick the correct one, which is the most ideal approach to begin with this well known leisure activity movement. The big rc helicopters reviews ought to be put away in a protected area where visitors and group won't drop things on the Drone or thump or kick the Drone. Right now there are lots of competition are held in the world nevertheless the drone rushing is different race from all of the competitions type, so for taking part in the drone racing, you should have to buy the best drone for you which will help you win the rhyme race during racing.